The author of The Mozart Effect® on how the human voice can establish a balanced life. Ancient cultures looked at the human voice as the link between the inner and outer psyches. The voice was viewed not only as an instrument of self-expression, but also as a powerful means of self-alignment. 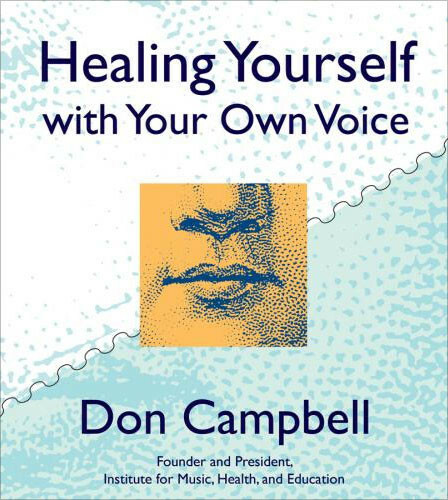 Healing Yourself with Your Own Voice is about rediscovering the natural power of the human voice, and its role in establishing a balanced, healthful life. Don Campbell, founder of the Institute for Music, Health, and Education, and author of the national bestseller The Mozart Effect®, leads you through step-by-step exercises to demonstrate how different sounds affect the brain and the body. Exercises focus on the alignment of mind, body, and voice; an inner massage; much more.